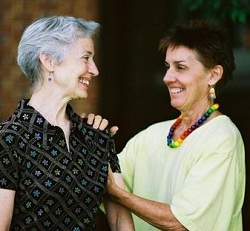 Meade Andrews is an internationally recognized senior teacher of the Alexander Technique. 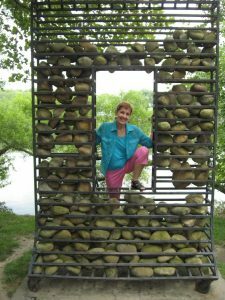 She currently teaches as guest artist in theatre at Rider University in Lawrenceville, New Jersey, where she also maintains a private practice in the Alexander work. In the Princeton area, she offers classes and workshops at Westminster Choir College. Former director of the Dance Program at American University, Meade continues to teach workshops at the Studio Theatre in Washington, DC, her professional base for 20 years. She has also served as an acting teacher, and acting coach for over 30 theatrical productions. Meade has traveled extensively throughout the US and abroad (Japan, Germany, Australia, Spain), introducing the Alexander Technique to groups of students, teachers, and professionals in the performing arts. Simultaneously she has maintained a private teaching practice in the Alexander Technique, teaching people in all walks of life, including computer workers, teachers, and business professionals. Recently Meade has completed two courses of training in New York City: The Alexander Technique and the Art of Breathing with Jessica Wolf, and Alexander Teacher Refresher Courses with John Nicholls. Parkinson’s Disease support groups, symposiums, and individual sessions. Also: Fibromyalgia, MS, TMJ, neck and back pain. Performing Arts workshops for dancers, singers, and actors, ranging from beginners to seasoned professionals. Lynn University Music Conservatory, 2010. YoungArts, a national organization supporting the development of young artists in the fields of dance, theatre, and voice, 2008-11. The Art of Group Teaching: Workshops for Alexander Technique teachers and trainees in the presentation of the Alexander Technique in a group setting. American Center for the Alexander Technique: 2010. Philadelphia AT Training School for Teachers: 2010. Toronto, Canada, AT Training School for Teachers: 2009. Lead Presenter, Alexander Technique International Congresses: Oxford, England (2004), Lugano, Switzerland (2008), and Limerick, Ireland (2015). Residential Alexander Technique Courses: 5-day workshops which are open to participants at all levels of learning, from beginners to teacher trainees and teachers. South Florida Workshop for the Alexander Technique: This workshop, offered each year in February, is a 5-day residential course open to teachers, trainees, and advanced students of the work. Contact Meade at meadandrews@aol.com for more information. Alexander Technique at Sevenoaks: This workshop, offered each year in June, takes place in the mountains of Virginia, 2 hours south of Washington, DC, and is open to teachers, trainees, and students at all levels of Alexander study. Visit TheVillageGreen.net for more information. Alexander Technique Workshops International: A series of residential courses, taking place each year at Sweet Briar College (two and ½ hours south of Washington, DC), Malibu, California, and Tuscany, Italy. Visit www.alexandertechniqueworkshops.com for more information. For information on Meade’s upcoming teaching engagements, visit the Workshops page.